After months of dedication and hard work, your success or failure in a college course can be determined by one heavy weighted assignment—the final exam. More times than not, final exams are usually all in the same week. While the thought of this can be stressful, there are a number of ways to improve your performance during finals week. Keeping in mind the stress of finals week, students typically are distracted from basic self care, and can often times neglect simple tasks such as getting enough sleep, eating healthy or incorporating exercise into their daily routines. A way to combat this is to start preparing for exams a couple weeks before finals week, so the stress of procrastination doesn’t build up. Gathering class notes, highlight main ideas and asking professors for help can allow for more preparation and less stress. 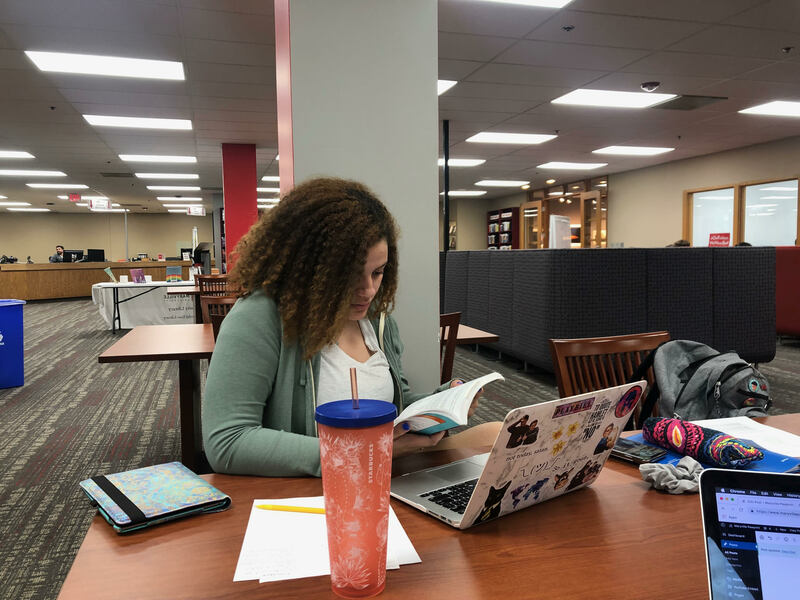 Third-year student, Kirby Cooper, preparing for a final exam in the Maryville University Library. 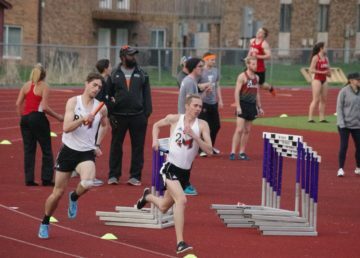 Photo Courtesy of Macie Maislin. “I remember that I need to take time for myself, so that the stress of finals get the best of me,” said Kirby Cooper, a third-year student. A great way to avoid burn out when you’re studying is to reward yourself every couple of hours with a break. Go out with a friend, take a walk around the block or watch even Netflix in order to guarantee a productive study session. Try limiting your break to thirty minutes to an hour in order to still remain productive. In the end, finals week is a great way to portray all of the knowledge you gained in the semester, and a chance to finish strong in each course. So, good luck and happy studying! For more tips on finals week, read this article from USA Today.